← The Cumberland Trio receiving airplay on more than 750 FM radio stations around the world! 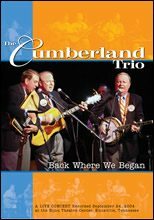 On August 9, 2012 Nick Noble, host of the immensely popular Folk Revival radio show, WICN-FM 90.5 Worcester, MA devoted an entire four hour program to The Story Of The Cumberland Trio- 50 Years Of Great Music! An estimated 250,000 folk music fans from 29 states and four foreign countries listened to this unprecedented broadcast which featured the entire Trio recordings catalog as well as live interviews with Jerre and Barbara Haskew, Andy Garverick and Tom Kilpatrick. The special focus of the show was the recent discovery of the Trio’s New York City recordings from May, 1964 which have been remastered to CD. Below is a link to the entire playlist from the show. According to Nick Noble the show shattered all their records for listenership- he estimated total audience on their signal strength (covering most of New England) & live audio stream on their website on the internet at 250,000+. Listeners logged in on the live stream from from 29 states & six foreign countries. The show was recorded off the internet live streaming broadcast by Mark Teachey in Wilmington, NC. It is being edited, mixed down and mastered. Mark has broken it down into tracks on 4 one hour discs. Andy Laird of Carlsbad, CA, who mastered the 2004 reunion concert and the old tape of our 1964 NY City Gotham Studios sessions has done the final mastering. The show will be made available as a limited edition CD in Spring, 2014.